Hey there everybody….. We’re right here. Did you know that 2019 is the 50th Anniversary of the formation of Allman Brothers Band? On that fateful Day, March, 26th 1969 Duane & Gregg Allman, Dickey Betts, Berry Oakley, Butch Trucks and Jai Johanny Johansen “Jaimoe” came together in Jacksonville, Florida. Legend has it that after they had played music together for the very first time… after a particularly intense jam, Duane stood up, went to the door and said “Anybody who wants to leave is going to have to fight their way out”. The Allman Brothers Band was Born. 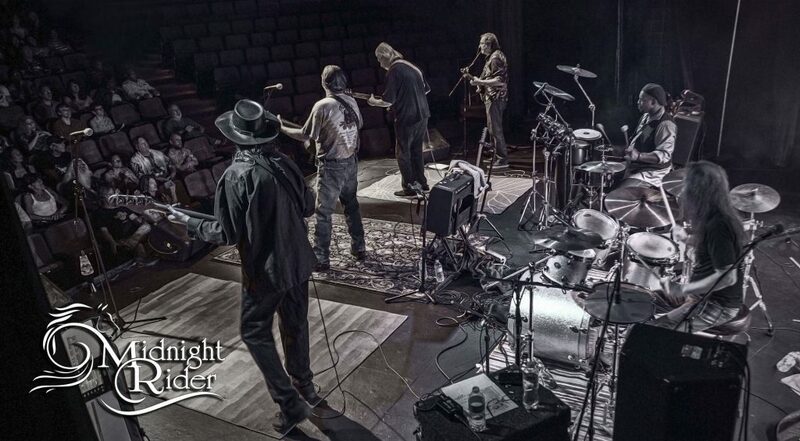 Midnight Rider is here in 2019. We are so looking forward to this 50th Anniversary year. This will be our first summer at Festivals. 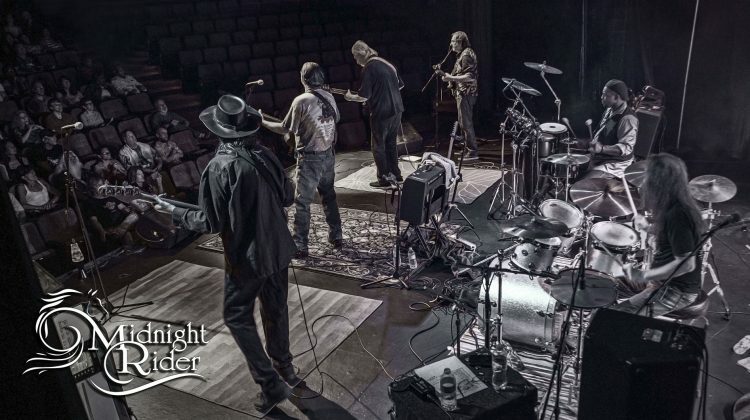 We have yet another Show at Pheasant Run in May, Celebrating the 2nd Anniversary of Gregg’s passing, this time w/ our good friends Trouble Ahead, The Premier Grateful Dead Tribute. We have many surprises to come as we move through the year. We will do our 1st Unplugged show in the Fall of 2019, as well as debuting our Full Album shows such as Live at the Fillmore East and Eat a Peach. Looking forward to our return to H.O.M.E. Bar in Arlington Hts. February 22nd. Great Stage, Great Sound & Lights. Please come out… and Feel the Love. We will be playing at Tipsy Tuesday on the exact date of the Anniversary, March 26th at Reggie’s filling the stage usually serviced by Chicago Legends Mr. Blotto. Come out and help us celebrate. P.S. Check out the “Shows” tab at the top of this page to see all of our upcoming dates. When you come to see us… please come up and say “Hello” after the show. Make our day.